Delivering unparalleled web application development services for restaurants. DineEngine® uses new technologies, enhanced frameworks, and mature methodologies to develop web apps that facilitate restaurant growth. We're full-stack engineers, developing applications that run seamlessly on today's ever-changing platforms. Get the features and functionality you need for your restaurant web app. DineEngine® will provide highly customized app functionality based on your restaurant's requirements. By building multi-tenant restaurant applications, your users can manage accounts, get access to the functions they need, and subscribe to your set of features. Foundation-based solutions that provide functionality, PCI compliance with payment processing, and checkout flows that get customers ordering more. We seamlessly connect to restaurant vendor APIs across all channels, and can work with any third-party provider's point of sale, online ordering, and loyalty & rewards. Producing mobile-first web apps, we will provide great customer experiences from desktop to any digital display. DineEngine® will develop web apps using custom code for your brand. We can leverage the tools you already use, integrating our solution with any API provider connecting your data anywhere. DineEngine® provides custom web app development for restaurants using solid engineering via open object programming, utilizing many MVC frameworks that can be used for rapid app deployment. DineEngine® can integrate third-party APIs into memorable front-end customer experiences for any digital display, providing multi-channel mobile, web, and kiosk applications. Focus on showcasing your restaurant with a responsive website and combined web application for any modern browser with desktop applications for MacOS and Windows. 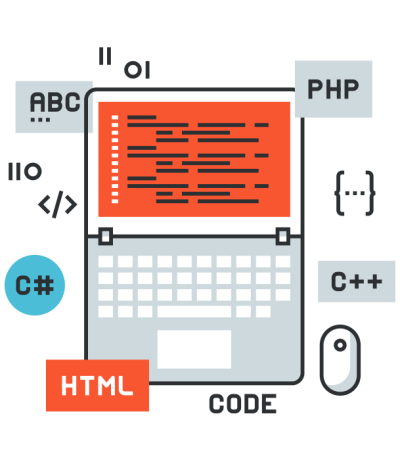 Our web development capabilities reach beyond basic app development. 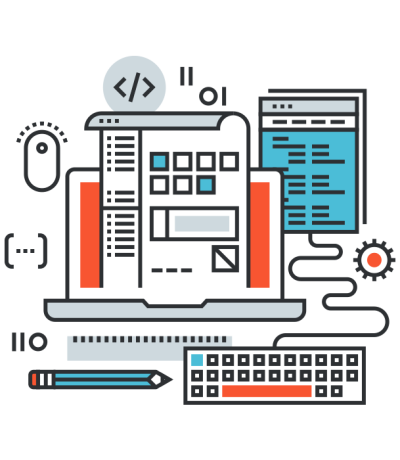 We choose the right programming languages and frameworks so your app stays functional. From web development to mobile apps to kiosks, DineEngine® will fully merge your restaurant systems across all channels with our unique and innovative integration platform.